From the public's first glimpse of the original Starship Enterprise to the brave new worlds explored in Star Trek: Voyager, the never-ending phenomenon that is Star Trek has treated generations of viewers to a dazzling barrage of unforgettable images of the future. Bizarre alien beings, breathtaking extraterrestrial landscapes, exotic costumes, state-of-the-art special effects, and remarkably convincing futuristic sets and props and equipment have brought Gene Roddenberry's inspiring vision to life before the public's awestruck eyes. The Art of Star Trek is a one-of-a-kind gallery of Star Trek artwork, as well as tribute to the many artists, designers, and technicians whose diverse talents and imagination created the distinctive look of the Star Trek universe. Every incarnation of Star Trek is explored: The Original Series, The ANimated Series, Star Trek: The Next Generation, Star Trek: Deep Space Nine, and Star Trek: Voyager, and the films -- with the complete behind-the-scenes story of Star Trek's design history. With hundreds of full-color illustrations and photographs, many from private collections, readers will at last be able to linger on Star Trek's rich visual legacy and trace the evolution of and images from their initial conceptions to their final form on television and film screens. Like all great works of art, the many sights and visual surprises of Star Trek have been built from scratch through a combination of inspiration and painstaking effort. 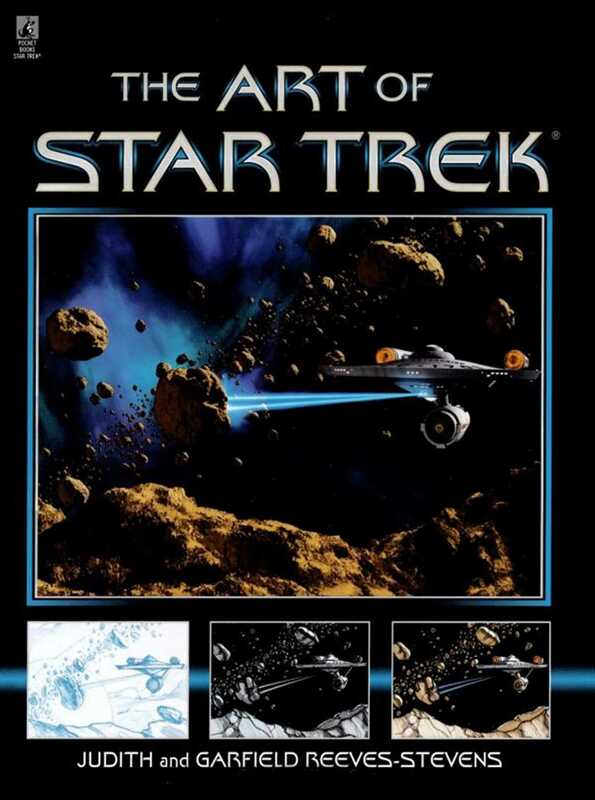 The Art of Star Trek covers the entire universe of Star Trek artwork and production design to reveal how, in all of its various forms, Star Trek has allowed us to look boldly into the future and see what no one has seen before. The Art of Star Trek is the art of pure imagination, the art of a bright, hopeful future, and the art of three remarkable decades on nonstop action and adventure. Lavishly illustrated, it is a book to be read and referred to time after time, as well as one that will become a cherished chronicle fo Star Trek's first thirty years.